Healthy living means working all your muscles and emphasizing the importance of maintaining both a fitness routine and a full social calendar. Golf course communities provide facilities for various skill levels to help you lead an active and fulfilling lifestyle. Whether you want luxury homes on the 18th green or live close by, the lifestyle that you have worked so hard to enjoy is awaiting you in a beautiful, safe recreational community surrounded by active and friendly people. To preview golf course communities by a particular area, simply click on the desired name listed below. This allows you to view all of the golf communities within the area of your greatest interest. Simply glance through the listings to find the cities/areas you are looking for and select your desired choice. Each one features an overview, including a community profile, as well as available golf course community real estate options and prices. You will also find helpful resources and direct contact information for a MyOwnArizona™ real estate agent who specializes in placing clients in a golf course community that best suits their personal and financial needs. Tucson Golf Course Community Home Builders do encourage local Realtors to show and sell their new homes. However, your Realtor must be with you on your first visit to the new home site. 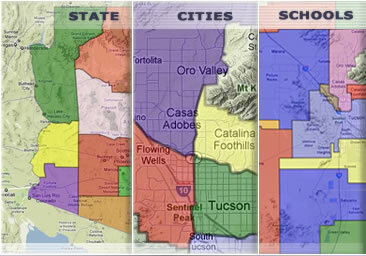 You will not pay more when you use your own Tucson Realtor to represent you. Tucson Golf Course Community Home Builders have pledged themselves to a 'Single Price Policy', which means that their published prices shall be the same whether sold by the Builder or a Tucson Realtor. 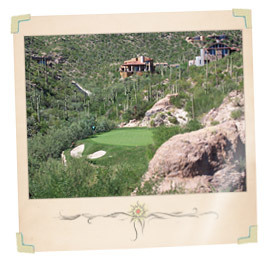 Why would you want to use an MyOwnArizona™ Team member as your agents to purchase a new golf course home in Tucson. Because we will represent you as a Buyers Agent and our primary responsibility is to protect you and your interests. We can give you information on neighborhoods, schools, nearby shopping, dining and entertainment. We know all the top Tucson Golf Course Community Home Builders and their products and we fully understand new golf course home construction in Tucson. We spend a lot of time out in the local new golf course communities getting to know every in and out of each neighborhood and the Tucson golf course real estate market in general. 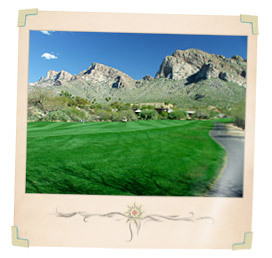 So whether you're relocating to Tucson from out-of-state, just moving from another Arizona city to Tucson, investing in a winter or second home, upsizing or downsizing, or just wanting your dream home on the 18th hole, MyOwnArizona™ Team has the experience and insider know-how to get you and your family settled in no time. Contact us at: info@MyOwnArizona.com for Tucson & Arizona golf course homes real estate.